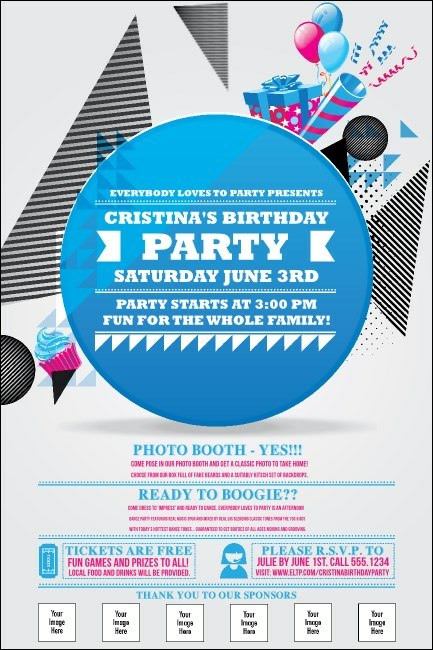 Treat yourself to the best pre-event advertising you can find for your big day, and promote your party in advance with Birthday Party Geometric Posters. With room to upload six images, and a contemporary, modern design that includes beautiful and bright colors, these Posters will help make your birthday wishes come true! TicketPrinting.com wants you to have your cake and eat it too.